I read Show Your Work by Austin Kleon a few months ago but, despite my best intentions, I keep forgetting to actually show my work. I set up a Pinterest board for the purpose but it’s sparse, to say the least. So today, as I was designing a flyer for my proofreading services, I remembered the concept and decided to show my work on Twitter. I was really pleased, then, to get the following tweets from a former proofreading client in response. 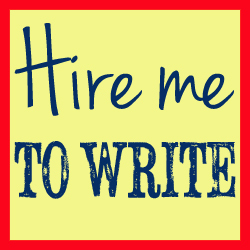 @PhilippaWrites Just wanted to say, you proofread my CV a couple of weeks ago and the following week I got called for an interview! @PhilippaWrites Thanks so much! Really appreciate the work you did on it. I really like proofreading. I know a lot of freelance writers do it just because it’s an extra skill they can offer, but they don’t really value it much. However, I thoroughly enjoy having the opportunity to fix things and improve somebody’s chances, so it’s absolutely lovely when I hear back from clients that what I did could have made a difference. Fabulous service – extremely happy with the content – here’s hoping this will assist my SEO ranking. Look forward to utilising you in the future. Thanks. Amazing work, as always. Extremely high quality and extremely quick. Just wanted to say, you proofread my CV a couple of weeks ago and the following week I got called for an interview! Thanks so much! Really appreciate the work you did on it. Delighted with the end product. Thank you. Working with Phillipa has been a great experience. The work is well done and i feel more balanced after the proof reading is complete. Thank you for the fantastic work. look forward to working with you again. Excellent work, delivered in time! Thank you for your help! I will definitely come back to you. Very speedy, great communication, and a wonderful result 🙂 thank you! When I went to Woodstock, the last thing I cared about was taking care of business. [Philippa] apparently represents the new incarnation of the now-quaint Woodstock subculture: meticulous, professional, driven to reach for perfection. Many thanks. Tattoo proofreading: preventing disasters before they happen!